Abstract: I will discuss my research interests in ultrafast diode lasers, nonlinear chalcogenide devices, and electrowetting adaptive optics. Specifically, I will describe a new application of a stochastic parallel gradient descent algorithm to fast active phase control in a Fourier synthesis system. Additionally, I will report on a new chalcogenide materials platform for integrated nonlinear waveguide devices for the mid-infrared. Finally, I will discuss electrowetting adaptive optical devices for imaging, wavefront correction, and communications. Biography: Juliet Gopinath holds a B.S. degree in electrical engineering from the University of Minnesota and S.M. and Ph.D. degrees from MIT in electrical engineering. From 2005 to 2009, she worked as a member of technical staff at MIT Lincoln Laboratory. Her work included wavelength-beam combining of eyesafe diode arrays, cryogenic Yb:YAG lasers/amplifiers, modelocked semiconductor optical waveguide lasers (SCOWLs), high power eyesafe laser sources, and Raman spectroscopy. She is now an assistant professor at the University of Colorado-Boulder in the Electrical, Computer, and Energy Engineering department. 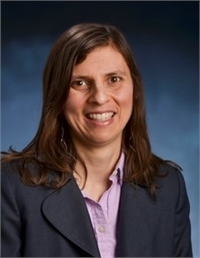 Her research interests include integrated and nonlinear optics, ultrafast lasers, semiconductor lasers, wavelength beam combining, spectroscopy, mid-infrared sources, and adaptive optics. Dr. Gopinath is the recipient of the National Science Foundation Graduate Fellowship (1998-2001) and an R&D 100 Award (2012). She has authored and co-authored 33 journal papers and over 42 conference proceedings and is an associate editor for the IEEE Photonics Society Journal.